When we tried Via Napoli for the first time a few years ago, it quickly became one of our favorite and most repeated Epcot restaurants. I grew up eating authentic Italian food, and Via Napoli nails it with their cuisine. They even import water from Italy to make their pizza dough! The restaurant is tucked toward the back of the Italy pavilion, and has a casual, open air atmosphere. I think this is a great place for families and for large groups to enjoy a meal together. The pizza ovens bake a great pizza and are nicely themed! 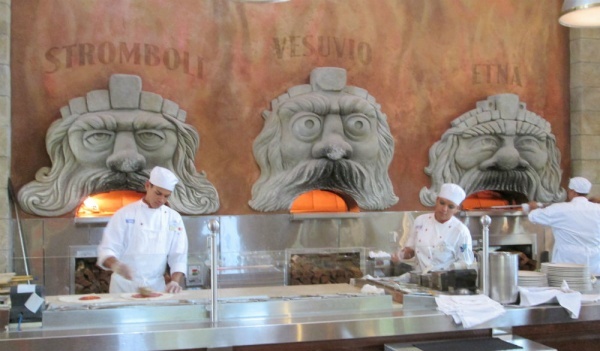 Each oven is named after a volcano in Italy! It’s always fun for us to watch the open kitchen area. 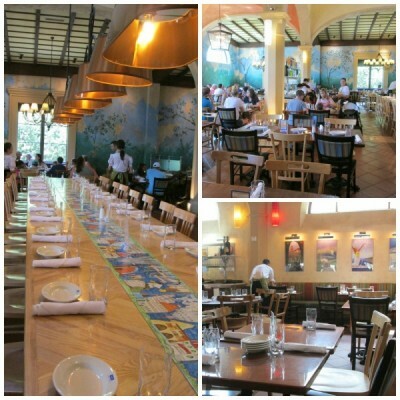 For every time we have dined here, the servers have been welcoming and the atmosphere comfortable. 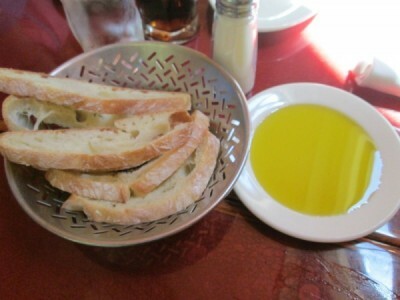 Our recent meal started with warm bread and olive oil for dipping the bread. 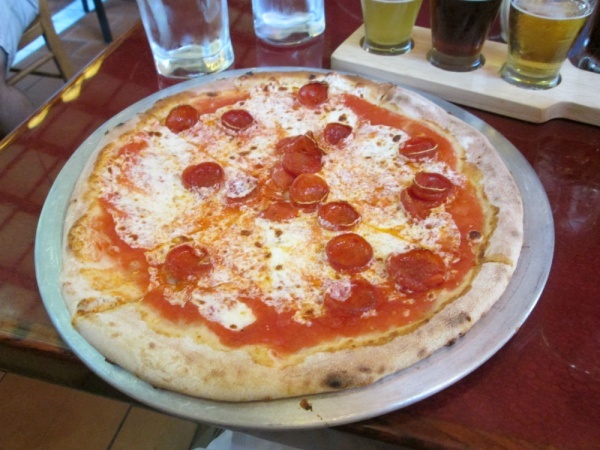 I decided to go with a classic comfort food meal, beer and pizza! The beer flight was a good choice for me because it gave me a chance to try a few different beers. My flight consisted of a Moretti Lager, Moretti La Rossa, and a seasonal selection which was Alla Spina. 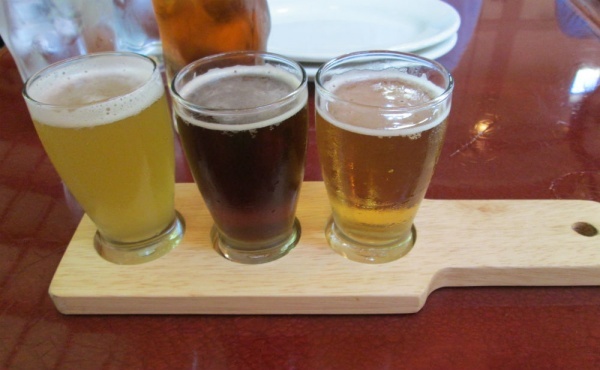 Sampling three beers was fun! I have had a few of their pizzas, and went with the pepperoni pizza this time. It was a perfect pizza at every bite! This isn’t just one of my favorite pizzas at Walt Disney World. It’s one of my favorite pizzas anywhere I’ve had a pizza. 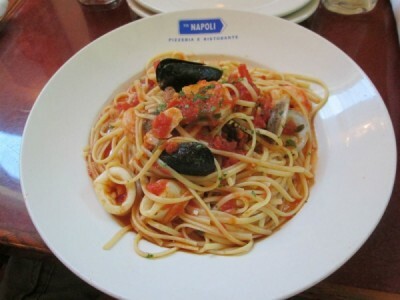 My son opted for the Linguine allo Scoglio, which is linguine with shrimp, clams, mussels, and squid in a tomato sauce. He said that he wasn’t fond of the squid, which is probably a matter of personal taste, but enjoyed the rest of the dish and said that he’d be happy to order it again. 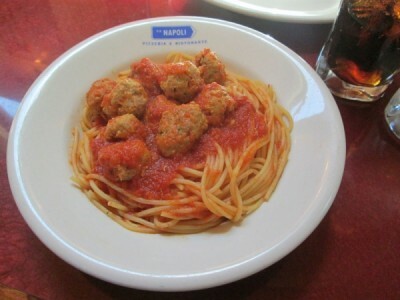 My daughter ordered Spaghetti e Polpettine, spaghetti and veal meatballs with tomato sauce. This was served in a way too big portion for her, but she enjoyed what she could eat. I tried a meatball, and was impressed with the quality and taste of it. One of the reasons we like Via Napoli so much is that we enjoy the desserts as much as the entrees here! The desserts at Via Napoli never disappoint! I do wish that they would offer a dessert sampler because it’s hard to choose what to order to end your meal. If there were such a thing as too many good options, that exists at Via Napoli. I went with the Coppa di Brutti Ma Buoni sundae, the “Ugly but Good” Sundae. Oh, my word…….Was it ugly? Yes. Was it good? Heck to the yes! 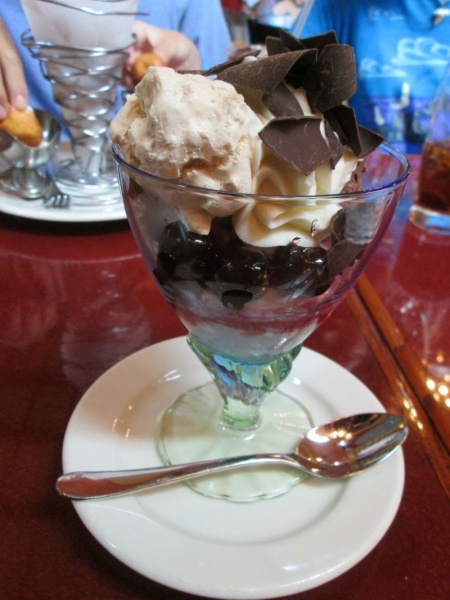 Seriously, this is one of the best desserts I’ve had at Walt Disney World! It’s an ararena cherry and vanilla gelato sundae. I’d visit Via Napoli for dessert someday just to enjoy this again. 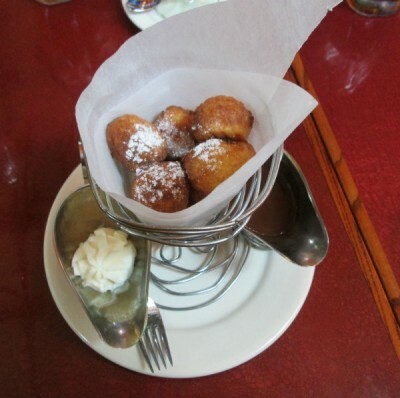 Equally good was the Zeppole di Caterina dessert that my son ordered. This is ricotta cheese fritters, whipped cream, and chocolate sauce. We all tried a fritter with the fixings, and we all agreed that this is what “happy” tastes like. 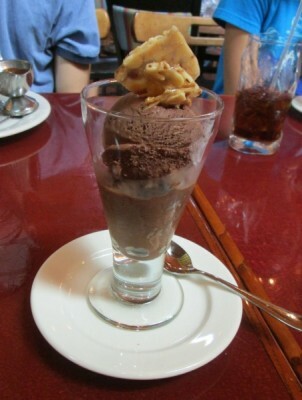 My daughter ordered the chocolate gelato and savored it! 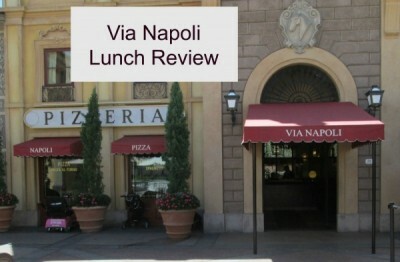 We nearly had to be rolled out of Via Napoli once our meal was finished, but we enjoyed the casual dining atmosphere and every bite of food. The only improvement I wish this restaurant could make is to offer pizza delivery within a 1,000 mile radius from Epcot! 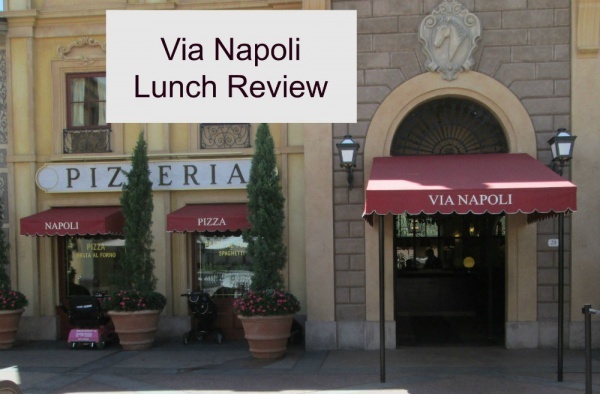 If you have dined at Via Napoli, please share your experience with a comment.